You've all heard me previously discuss my obsession with the Bullet Family of products. From the first bullet I bought for my first son's baby food to joining the Bullet Brand as an ambassador, I absolutely love each of their gadgets. So far I've reviewed the Baby Bullet for the obvious healthy baby food recipes and children's snacks, as well as the Nutribullet which helps with healthy, clean living foods! Both worked better than I'd imagined, only making my desire to own every product from the brand stronger. I've been eyeballing one of their newer blenders for months now. 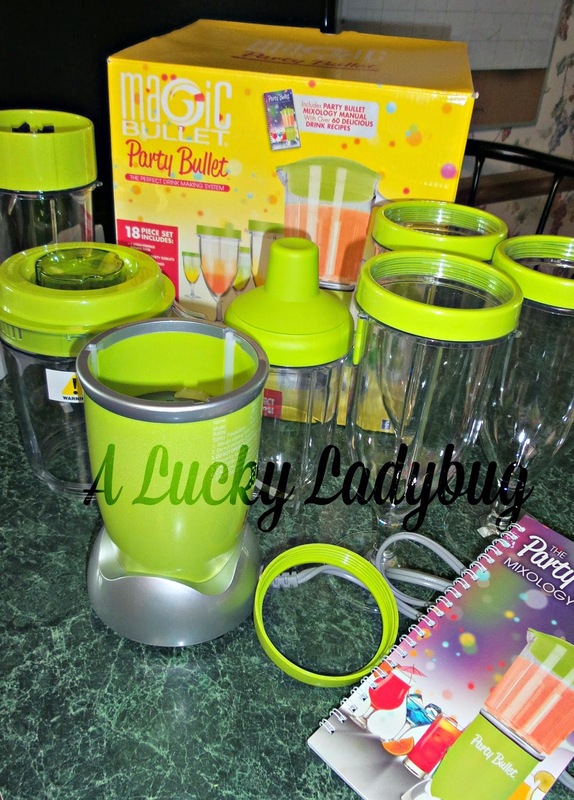 The Party Bullet is a must have "Spin and Sip" blender for entertaining easier than you can imagine! "Mix, Blend, and Enjoy the PERFECT Party Drink in just SECONDS!" Thankfully I was sent over the Party Bullet to review just in time for Summer. If you know me or even remotely anything about me, you know I love my Summertime "at the office" sitting poolside, sippin' on drinks while writing my little heart out! 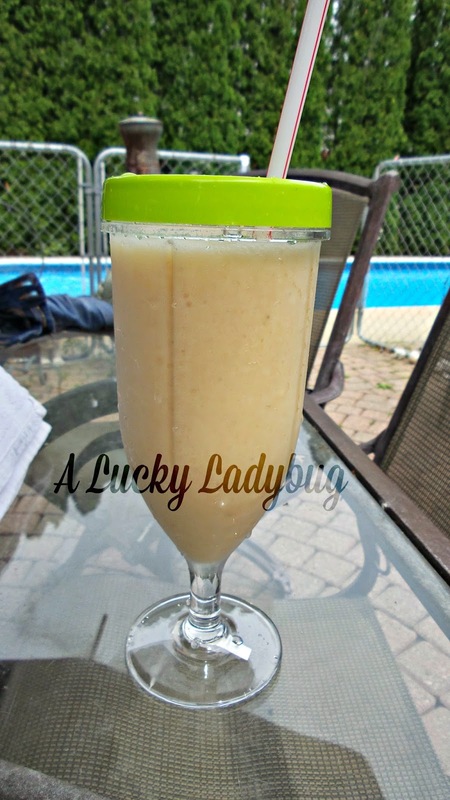 You also probably know how much Kevin and I love to barbecue and entertain during the Summer and as much as we are beer drinkers, there is nothing like a blended foo foo drink to make you feel relaxed! 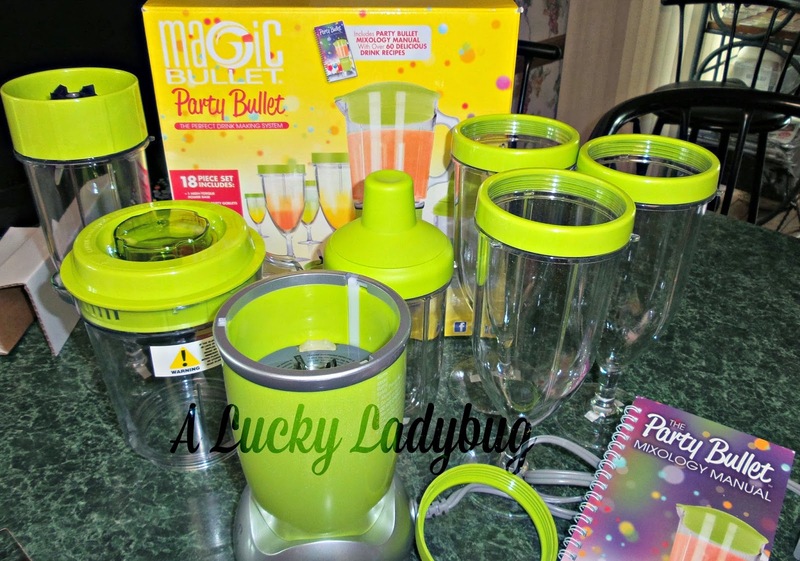 The Party Bullet system includes the new Yuki Blade, a power base, 4 Sip and Spin goblets, a cocktail shaker with a jigger built into the lid, a party pitcher, Party Bullet Mixology Manual, and a the Mix Master 7 guide. I absolutely love the goblets as they are perfect for making everyone their own individual drinks the way they like it without having to make something in bulk and then adjusting for preferences. However, you can of course still blend up something tasty for more than one of your friends using the party pitcher! My only major recommendation to you is that you be sure to forcefully screw the blade onto the bottom of the pitcher, otherwise you are likely to end up with the mess I did as it vibrated loose the first try. The Yuki Blade is what makes this one special compared to the other Bullet products when it comes to making Summer drinks. It "instantly turns ice to snow, whips cream, shaves ice, muddles herbs and blends the freshest, frostiest drinks and treats ever!" I was very impressed to actually see this one work the way it promised as a lot of other types of products tend to claim a quality they just can't uphold! Do keep in mind that you do not ever want to over pack a glass full to the point where the blade cannot move as I learned this will over heat the power motor. :( Everything included with the Party Bullet is made dishwasher safe for easy cleanups (except the motor base and blades). The day this arrived my children asked for slushies and smoothies which I easily made at the same time as making myself an adult Pina Colada! I was able to switch from glass to glass with only needing to rinse the blade in between drinks making my life beyond easy! I think from start to finish I had four different blended beverages within 5 minutes! Recommendation: As if you couldn't already tell but I personally think it doesn't matter what age you are, you should have one in your home. This is perfect for non-drinkers with children for slushies as well as the entertainers, who party at home every night! 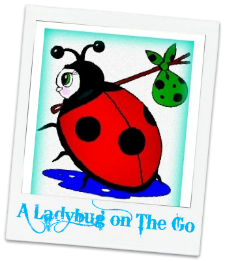 Giveaway: The Party Bullet is going to give one of A Lucky Ladybug's lucky readers a Party Bullet of their own! I would prefer a beach if it was warm and sandy; otherwise I would choose the pool. I love water when it is very warm outside. I love visiting the splash pad with my boys over summer vacation. 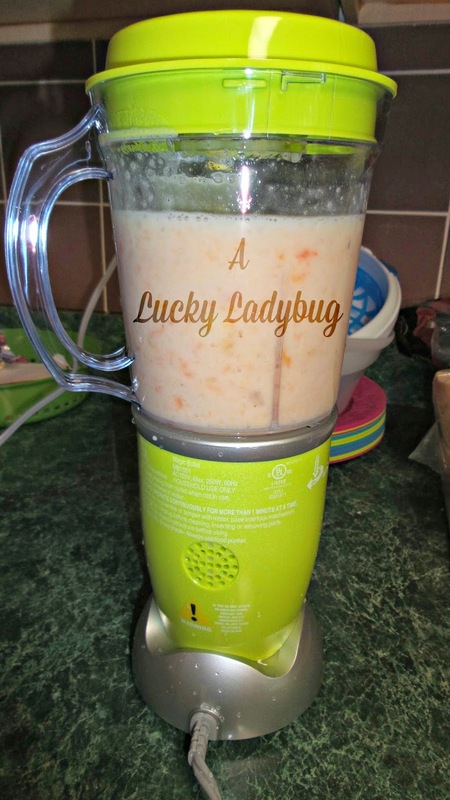 I'd love to use this to make and pack a quick smoothie for us!